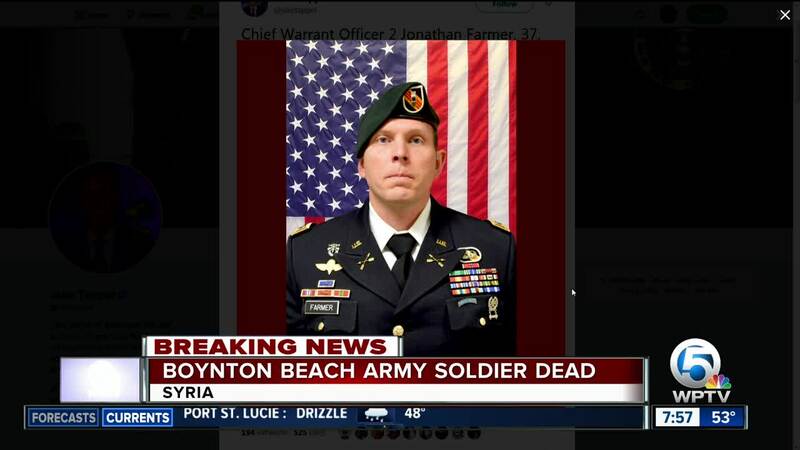 A soldier from Palm Beach County was identified as one of the four Americans killed earlier this week in an explosion in Syria, the Department of Defense said Friday. 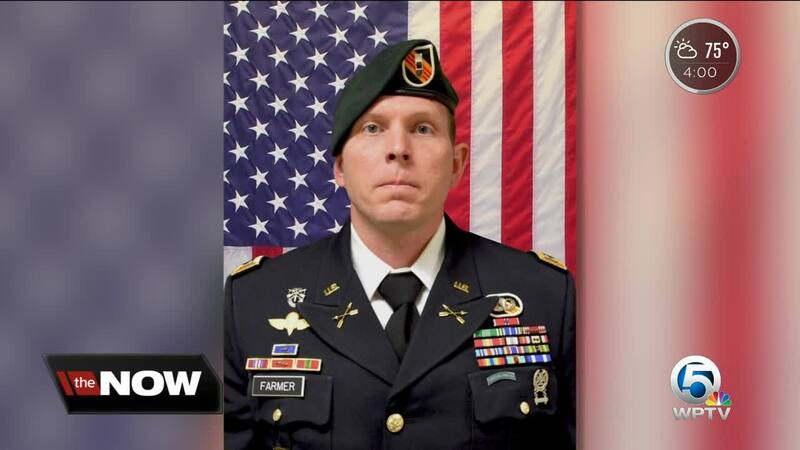 According to the DOD, Jonathan R. Farmer, 37, was among those killed Wednesday in Manbij, Syria, from a suicide improvised explosive device. The DOD said Farmer was from Boynton Beach, but a family friend said he was raised in Palm Beach Gardens. 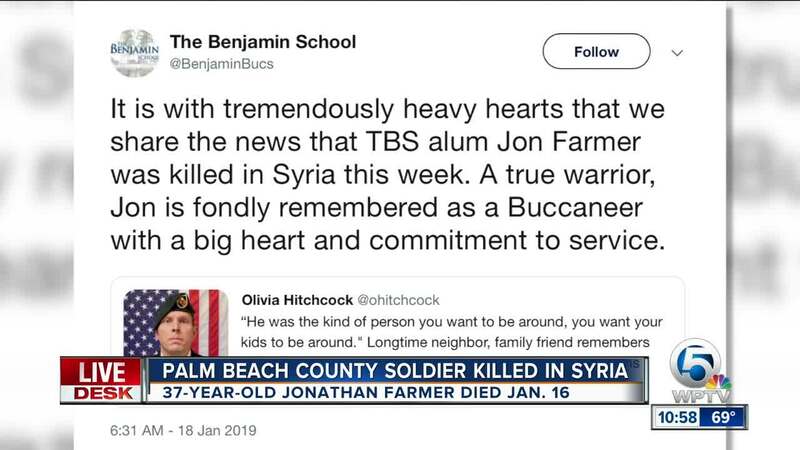 PALM BEACH COUNTY, Fla. — A soldier from Palm Beach County was identified as one of the four Americans killed earlier this week in an explosion in Syria, the Department of Defense said Friday. According to the DOD, Jonathan R. Farmer, 37, was among those killed Wednesday in Manbij, Syria, from a suicide improvised explosive device. The DOD said Farmer was from Boynton Beach, but a family friend said he was raised in Palm Beach Gardens. The Benjamin School said Farmer graduated in 1999 and played on the school's basketball team. The school sent WPTV photos of him as a student. The American flag was flying at half-staff Friday on the The Benjamin School campus honoring the hometown hero. “It was like a kick in the stomach, I just at first couldn’t wrap my head around it,” said Coach Ron Ream, who has been at the school for 44 years. Ream remembers Farmer who graduated in 1999. 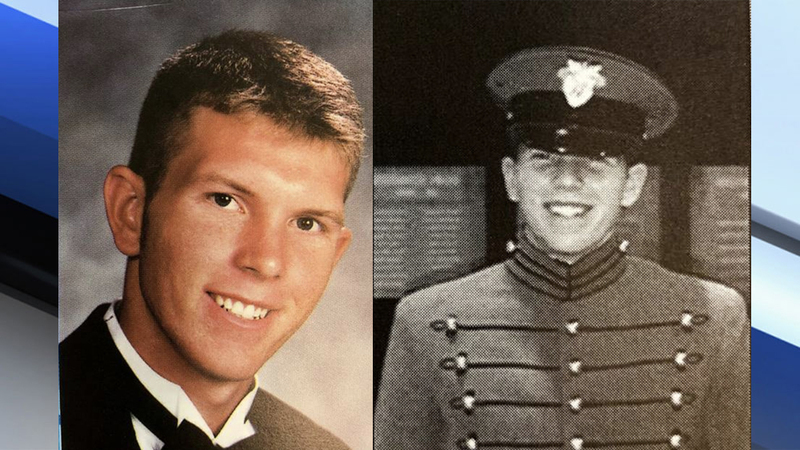 He was a basketball and baseball star, but ultimately decided to serve his country. “Jon never met someone that he wasn’t a friend with, you were immediately drawn to Jon because of his kindness and compassion,” Ream said. Twenty years after graduating high school, Farmer is remembered as a true warrior at the Benjamin School with a big hear and a commitment to service. “Let’s remember Jon as the young man that he was a friend to everyone, a kind person and a person you just wanted to gravitate to and be around,” Ream said. According to the military, Farmer is survived by his spouse, four children and his parents. DOD civilian Scott A. Wirtz of St. Louis, Missouri. Wirtz was assigned to the Defense Intelligence Agency as an operations support specialist. 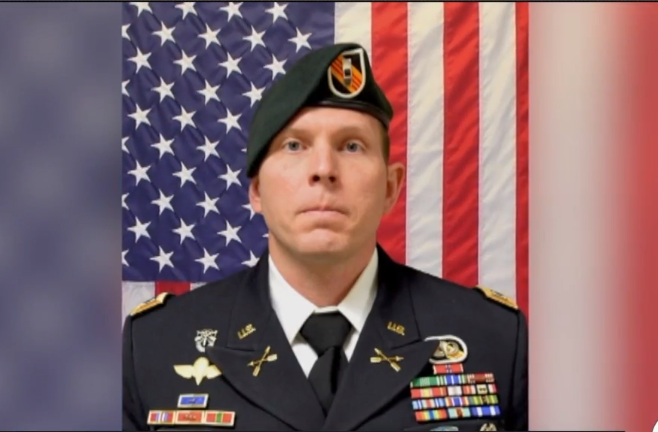 Wirtz, a former US Navy SEAL, was an intelligence expert in Syria with the troops hoping to collect information about security and adversaries in the area.